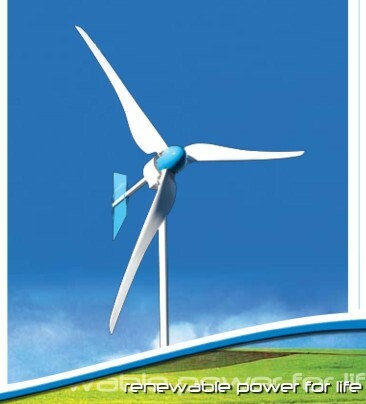 The South African company, Kestrel Wind Turbines, formed in 1999 is located in Port Elizabeth. In 2006 the company became a subsidiary of the well known Eveready Battery Company. Kestrel currently carries four different wind turbines models, each available in a wide range of voltage options. For identification they use a nomenclature that is different from the traditionally used rated output value that is normally expressed in either watts or kilowatts. Their model numbers refer to the metric measurement of the rotor diameter. For example the e160 is 1.6 meters across while the e400 swings a rotor that is 4 meters in diameter. 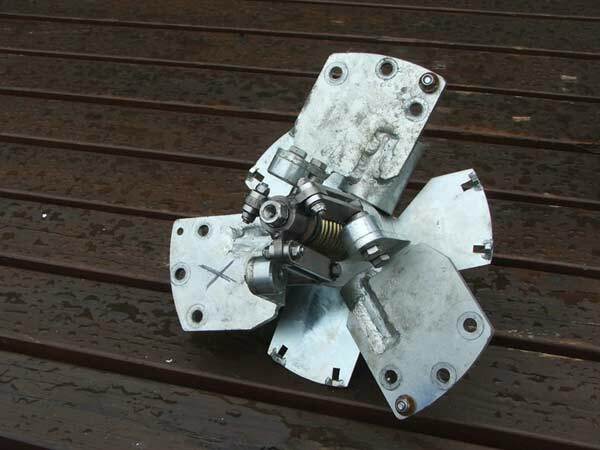 The Kestrel turbines use an axial flux permanent magnet alternator producing a polyphase, high frequency output. This setup is said to give a cleaner waveform. The available output voltages vary slightly between the different models. The e160 is offered in 12, 24, 48 and 200 VDC. The e230 and e300 both have 12, 24, 48, 110 and 200 VDC availability. The e400 is available in 48, 110, 200 and 300 VDC. You will find no furling machines here. The e160 turning six blades relies on electronic loading for active control and uses blade stalling as a passive backup. The e230, e300 and e400 all use blade pitch to control maximum rotor speed. 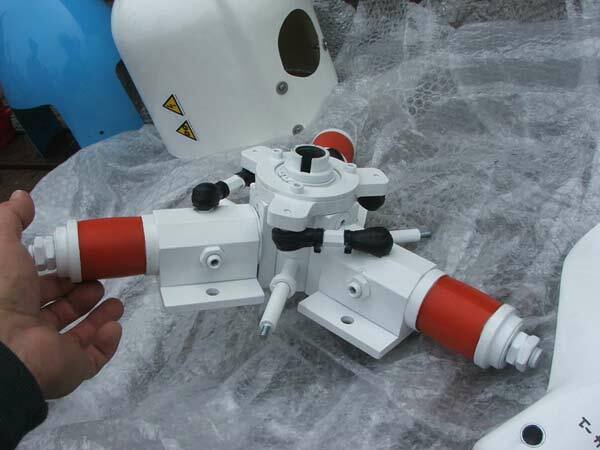 All the Kestrel turbines have a similar outer construction and look. While the nacelle of a radial flux alternator style turbine is an integral part of the structure and typically steel or aluminum, the Kestrels are not. The nacelle is mainly just a cover, a fiberglass shell actually. This is due to the design of the axial flux versus a radial flux alternator. The e160 and e230 are updated models from previous e150 and e220. The e230 not only has a slightly larger swept area but now operates at a lower rpm. The rated rpm dropped from 1000 to 950 while the governing speed went from 1100 to 1000 rpm. The e230 now has a much improved hub and pitch control. 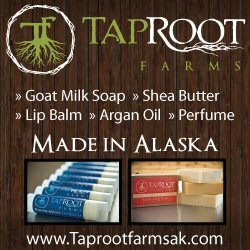 As for availability, a distributor told us there are about 3,000 dealers in the U.S. but would not supply a list of them. Curious. We haven't been able to dig up 3,000 different dealerships selling the Kestrel but...well... that's okay. You really don't have to look too far to find one. During our search for what we considered worthwhile wind turbines, the Kestrel machines were viewed with great suspicion. We left them at the bottom of the stack mainly because the South African origination was a major strike against them. 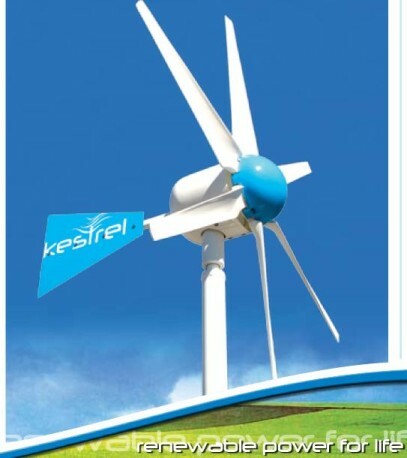 The old Zimbabwe built African Wind Power 3.6 always came to mind when looking at Kestrel. What a great machine the AWP 3.6 was, when it was built right. What a wreck otherwise. Was this going to be an obscure new start-up operation planning to peddle incapable wind turbines? What we found was that Kestrel had actually been around for a few years. While they didn't really have any exposure in the U.S., their turbines carried a reasonable reputation in other parts of the world. The buy-in by Eveready was just what they needed to kick off a campaign to get their product visible. Digging into the Kestrels, we liked what we saw, a reasonably priced machine that had the blade pitch control over side furling. The smallest turbine, at the time the e150 model, was even being used by the Alaska Railroad to power remote locations. We reasoned that if they were depending on one of these turbines to function in the harsh Alaskan weather, maybe we should check them out. 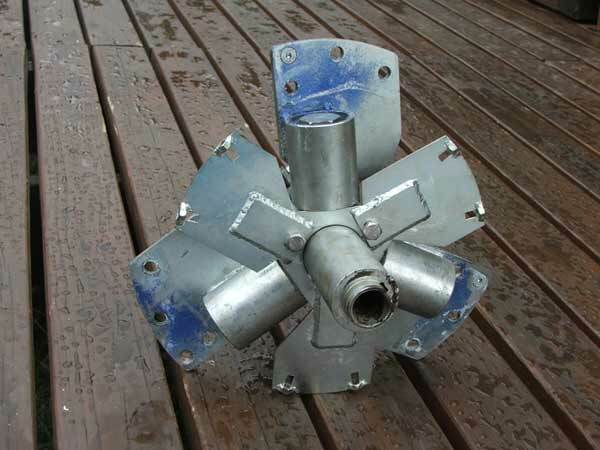 On close inspection of all four Kestrel models you will find an axial flux polyphase alternator. The rectification of AC to DC occurs in the nacelle. Therefore the current traveling from the turbine to the battery is 2 wire DC rather than the more commonly used 3 wire wild AC. If you want a clear cut answer to the AC versus DC running down the pole, you will be disappointed. There are varying opinions as to which way is the best way to transmit the energy from the turbine to the ground-based load. You will also find varying cost when comparing the economics of using either 2 large wires or 3 smaller ones. Because of this, we suggest that the best action is to price the actual cost of the copper wire recommended for the systems you are considering. We will throw out a couple of ideas that you may find useful. First let's look at a real life, black and white, example. We will comparing the 24 volt Bergey XL.1, Kestrel e300 and SWWP Whisper 200 turbines. *Though copper prices fluctuate, these figures are based on Dec 2009 estimates. THHN #6 is $0.69 per foot and THNN 3/0 is $3.70. The Bergey actually has the potential for developing the most power according to their own data (1300 watt) but calls for the least amount of copper, two 6 AWG. By comparison the Kestrel requires a gigantic outlay in the two strands of 3/0. This wide range of wire specifications may likely exist due to the different companies ideas about line loss and how their turbine produces power. You could draw a conclusion that Bergey is figuring on the typical wind distribution where the higher speeds occur a low percentage of the time and doesn't feel the justification of the extra wire expense. On the other hand, Kestrel notes their recommendations are calculated for a 3% power loss. They fortunately offer a high voltage option for all four models. We like this but there are two points to consider. 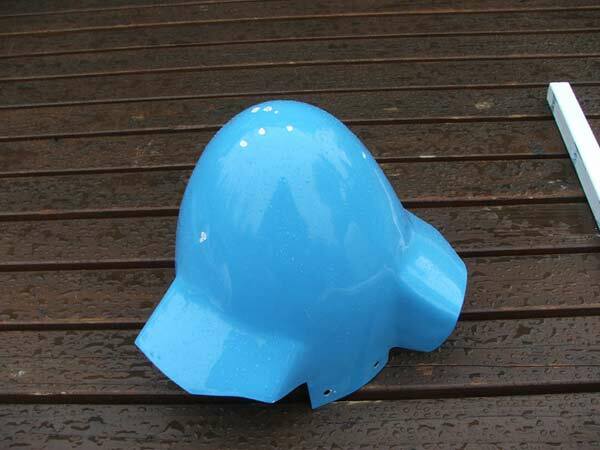 One, you will have the added hazards of working around high voltage at ground level. Two, a voltage limiter is required which amounts to another expense and possible point of failure. The other feature that we are not excited about is the DC output. Making the change from AC to DC in the turbine nacelle means that the rectifiers are at the top of the tower. A rectifier problem would require getting to the turbine for any repairs. When you have 3 phase AC coming down the tower, the AC to DC rectification occurs safely on the ground. If a rectifier fails, which they do, the Kestrel will be more trouble to repair. There is a counter point to the DC power output. With the increased number of phases in the Kestrel alternator there is a need to rectify the power in the turbine nacelle. The e160 and e230 are 6 phase while the e300 and e400 are 12 phase. The US distributor for Kestrel has ensured that the rectifiers are over spec'd by 400% so a failure would be a remote occurrence. What really sets the e230, e300 and e400 apart is the use of blade pitch for passive rotor control. Currently there is little competition for them except for the newly minted Sonkyo machines. Though the Kestrels may have a higher initial costs, we would expect to see the e230 and e300 as stiff competition for the Whisper 100/200 and the Bergey XL.1. The same goes for the e400 in comparison to the Whisper 500, Proven 7 and XZERES 110. Overall, we expect the Kestrel turbines will get some traction in the North American market as they gain visibility. The market represented by the e230 and e300 is rather limited if you want something at a reasonable cost that will last long enough to pay back your investment. The e400 is already in tough company with the Proven and XZERES so the choice here will not be as clear cut. We also appreciate the fact that you can install you own turbine and have a valid warranty, unlike the Proven policy of requiring a certified installer. That is a plus to be able to do your own work. As for the U.S. representatives, we are slightly less positive. The U.S. distributor, DC Power-Systems is typically more responsive but usually it is them contacting us about what they view as incorrect information on our website. Over the years the actual emails from DC-Power-Systems have been rather confrontational and arrogant in tone which we find rather interesting from a company perspective. Especially when the information we were referencing was straight out of the turbine manual, black and white. Interesting. We find no excuse for a company, in general, that treats people poorly, customer or not. Regardless, we give our unbiased opinion whether the distributor of the product likes it or not. Fluffy sales pages are their goal, sorting out the information is ours. The Kestrel corporate headquarters has, however, been quick to reply to our emails. Not only have they been fast to respond but they are actually helpful. There will always be one or two turbines with a legendary story behind them that we find being waved around like a testimonial banner . The first such story that comes to mind is the Jacobs that was found intact after decades of being abandoned at the South Pole. Even so, you can typically find an opposing story to cast a shadow on perceived reliability. For the Jacob it could be the Beech Mountain testing carried out by the Appalachian State University in 2004 where less than stellar results were recorded. As such, when a turbine manufacturer improves or upgrades a machine we see that as not so much as a past failure but a desire to build future reliability. This could be just the case with the Kestrel e220. Our neighbor had been living with a Bergey 1500 for years and was very happy with its performance. Unfortunately the power output began dropping and after several failed attempts to fix it, decided to replace it. In 2009, a brand new Kestrel e220 went up as the replacement turbine. The e220 worked fine but there were touchy issues with the Outback MX60 interface which was stepping 110 volts down to the 12 volt battery bank. After a period of trial and testing, the MX60 received the correct programming and began to play nicely with the e220. Unfortunately this came to an end when the e220 shed a blade during a winter storm. Though a major failure had occurred the story ends well. The parts were not only replaced under warranty but our friend received a new blade pitch system and blades. The original e220 had a hub which required careful adjustments during installation. 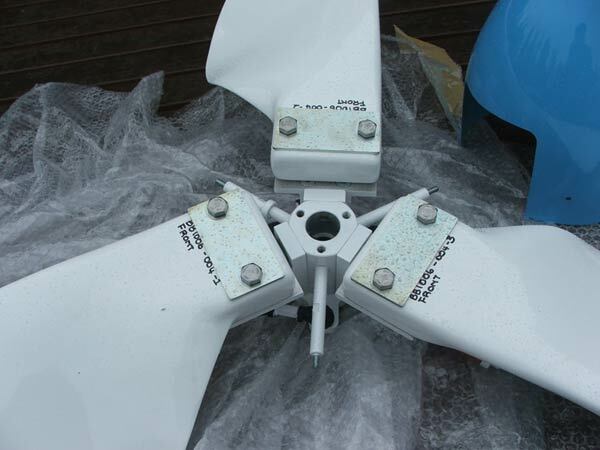 This meant the installer must properly measure and space the blades to have a balanced rotor. The new design, which is the currently offered e230, has a vastly improved hub and blade system. The new hub resembles the one from the larger e300 which looks much more substantial than the original e220 hub. Attaching the blades is a much friendlier process. They install in a snug collar and do not need to be field adjusted. 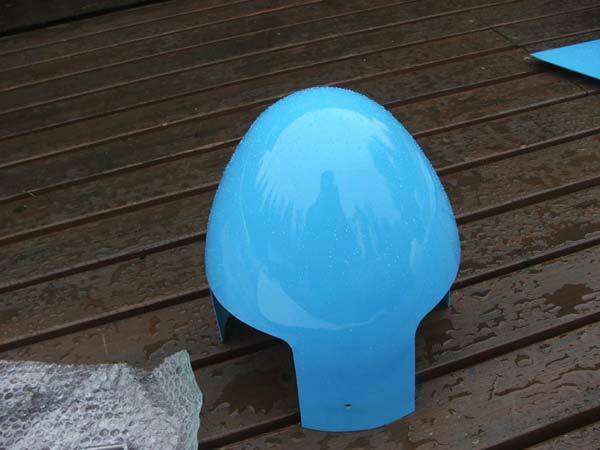 Even though there was a major problem with the turbine, we felt the company responded properly. They made a major improvement to the product for future buyers and treated a past customer well by supplying the new design as a replacement. How do we rate these four machines? The e160 looks to be in more of a specialty turbine, similar to an Air-X/Air Breeze. It would fit into a very small battery charging system that receives light duty usage. The e230 and e300 are both machines that we would recommend. These Kestrel turbines should put competitive pressure on SWWP and Bergey. The e230e and 300 have a reasonable price and substantial construction. While their rotor rpm is higher than we would like to see, it's a compromise that we can live with. The e400 is a fine machine however with the current pricing, we see no clear advantage over the XZERES 110. The Proven 7 is not being viewed as an option if you are planning to install it yourself due to their invalid warranty issue. Would you like to leave a comment about these wind turbine? How about the dealer or distributor you bought it from? We would love to hear about your experience! Both the good and the bad. 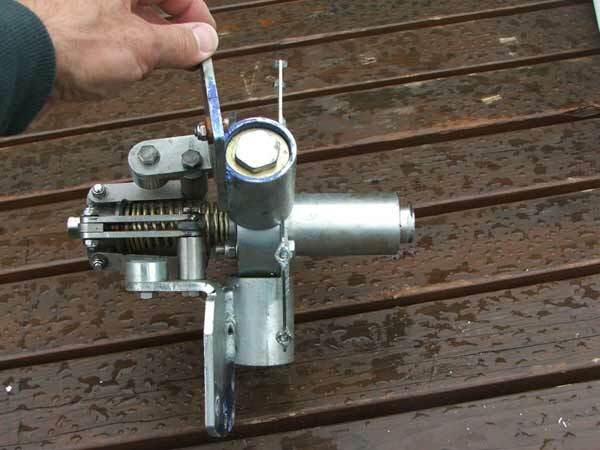 Don't own this turbine? That's OK too. Your opinion is also welcome.